File image of the Uber app. Uber said Tuesday it would let cities use its transportation data for city planning, and it's likely an attempt at forging alliances after a series of corporate missteps. Uber will first give Boston a look at its data, now anonymized information about rides, so the city can use the new data for better city planning and circulation, according to the Wall Street Journal. The city will be give quarterly reports with logs of trips, duration, distance and ZIP codes used. 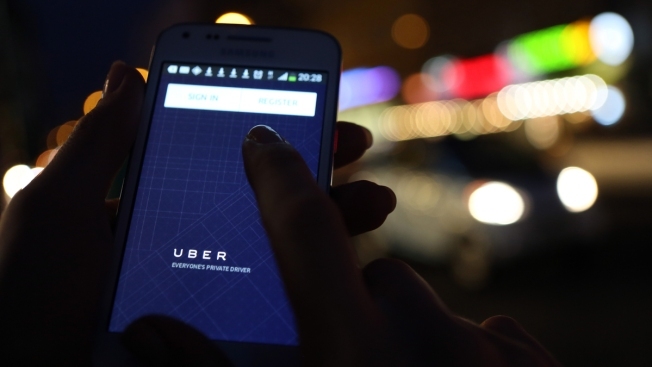 No names or other identifying data will be released, according to Uber. Uber, the startup which has users use an app to find a ride, has not been a kind, generous company in the past. Its chief executive threatened to smear journalists, the company blogged about how many of its users are into prostitutes and one-night stands, and recently its policy of a "price surge," also known by many as price gouging, led to New Year's Eve rides in New York City rising seven-fold. Despite the pricing, Uber's price surge proved to create "Uber rage", according to the Today show. And now, after Massachusetts officially recognized Uber and other ride-sharing services as established transportation, Boston suddenly gets a dump of Uber's transportation data. It's an opportune time, and it's a city that's letting Uber do its business without much interference, so it gets a present. Other cities that follow its example will likely get Uber data presents, too. Like Uber is hoping playing nice also leads to more "political clout" and possibly more cities allowing Uber to do business there. The company is already in talks with other cities.